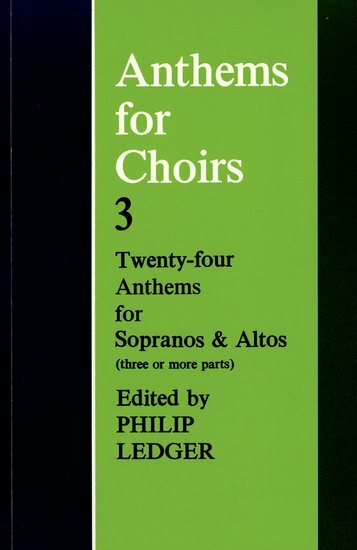 Anthems For Choirs Volume 3 is comprised of anthems in three or more parts and a set of five introits. Four new anthems have been specially commisioned from David Lord, John Rutter, Robert Sherlaw Johnson, and Phyllis Tate. With the exception of Christmas all seasons of the church's year are represented in the collection. There are 24 anthems included in this volume.